This is the second in a series of articles by an Epoch Times research team describing the foundations of Chinese civilization, and setting forth the traditional Chinese worldview. The series surveys the course of Chinese history, showing how key figures aided in the creation of China’s divinely-inspired culture. Following is an installment on the god Fu Xi. The progenitor of today’s world and civilization was the god Fu Xi. In accordance with the laws of creation, he brought order and stability to heaven and earth. Legends about this process are recorded in ancient texts such as the unofficial history written by Song Dynasty-era scholar Luo Mi or the Annals of Three Emperors and the Book of Jin from the Tang Dynasty. The period of Fu Xi saw great changes and cataclysms. A global flood that ravaged the world for many years exterminated the civilizations that existed in the legendary lands of Mu and Atlantis. Only those living in the Kunlun mountains survived. Following the great flood, heaven and earth were mixed together in primeval chaos. 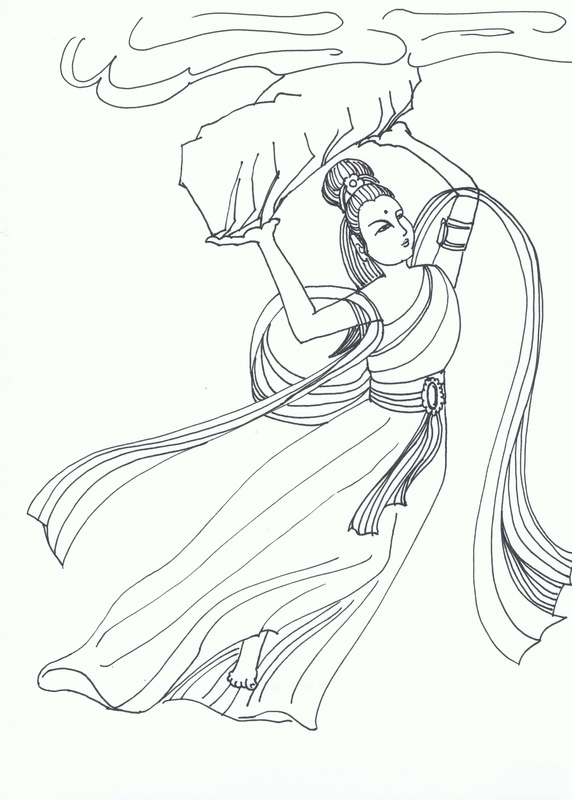 Using his divine power, Fu Xi brought the world to a state of order in a process recorded in the Silk Manuscript of Chu. He married the goddess Nü Wa and had four children with her. These became the gods of the seasons and directions. Through their balancing of heaven, earth, and the stars, days were divided into day and night, the year into four seasons, and the world into four directions. 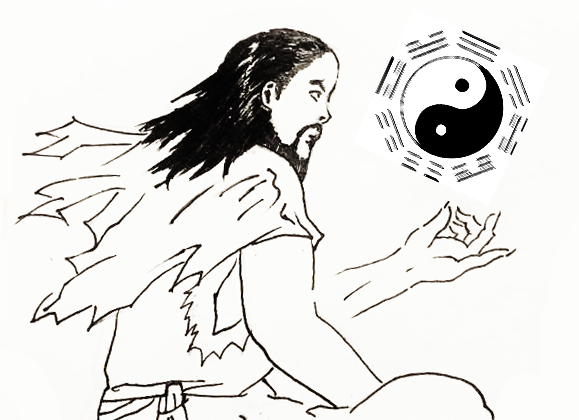 Fu Xi also created the dual forces of Yin and Yang and the Eight Trigrams, a tool that future generations would use for divination. Paintings of Fu Xi and Nü Wa from the Han Dynasty depict the divinities holding carpenters’ tools, reflecting their roles in crafting the universe. Other portrayals show them holding the moon and sun. After this process of creation, the universe again fell into imbalance. Five spirits of the wood element were dispatched to support the earth’s four directions and restore order to the universe. Following Fu Xi, Nü Wa became ruler of the universe, but was defied by Gong Gong, god of water. Gong Gong rebelled and Zhu Rong, the god of fire, was dispatched on a punitive expedition to subdue him. Though Gong Gong was defeated, the god collided with Buzhou mountain in his fury, collapsing it and the pillars that held up the sky and the binds that held earth in place. The heavens, sun, moon, and stars began to slant in a southwards direction. In writings from the early Han Dynasty, it is recorded that heaven was breached and the earth’s crust was cracked. Fires burned and rivers flooded. Nü Wa smelted a boulder of five hues and used it to mend the gaping wound in the sky, then used the legs from a giant heavenly sea turtle as pillars to stabilize the firmament. Her work rectified the orbits and paths of heaven and earth, allowing humans to live and work in peace.